Towards the end of our 12th grade trip to Poland and Israel -- a one-month journey that culminates our school's robust experiential learning program -- I learned that Elton was playing an open-air concert in Tel Aviv. Not only was our schedule free that night, a true rarity, but given the unusually small size of this year's senior class, I knew this was a once-in-a-lifetime experience for my students and me: A chance to see the aging icon in the Holy Land, together! We did so and it was truly memorable. Afterwards, I couldn't help but notice the concert t-shirts which all the kids had bought that night -- they were emblazoned with the classic double-album, Goodbye, Yellow Brick Road. Given that our theater department had recently performed Wizard of Oz, it occurred to me that perhaps the famous musical, movie and song were worthy of explication. So my research began. Not surprisingly, there's no shortage of academic theories on the subject; they range from political and psychological -- particularly Jungian -- to social and theological. Among the more notable is one by Salman Rushdie, who wrote an entire book about the movie, which he considered one of his most important literary influences. For Rushdie, Oz is more than just a children's film and more than mere fantasy. It's a story in which the driving force is -- get ready for the graduation connection -- how what he calls the inadequacy of adults requires kids to take control of their own destinies. In other words, graduates, though you have had and always will have older adults who care about you and are there to offer guidance -- especially your parents -- you are on the precipice of having to navigate your own respective Yellow Brick Roads -- largely by yourselves. It's scary, to be sure; but it's also liberating and exhilarating. Rushdie's idea is similar to one I shared during my original Elton John presentation earlier this spring, specifically this: To live is to leave. This June morning those words are particularly relevant because within a matter of days, you will be heading out on your own, traveling to colleges all across the country, and in many cases, not ever living under the security of your parents' roofs again. But that's not even the "leave" I'm referring to when I speak of what it is "to live." What I mean is that in order to truly live, you must leave other things behind -- things such as complacency, fear, judgment, the expectations and desires of others, and the need to conform. And parents, just as "to live is to leave," I would suggest that "To love is to let leave." Even when it hurts or even when you're convinced that you know better than they do, you must leave them. Because self-discovery is the essence of making it along the Yellow Brick Road. Which brings me to the following idea. 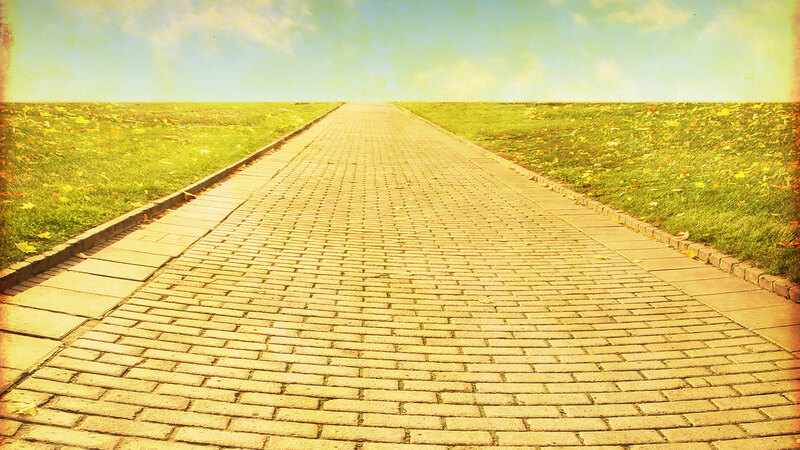 Unlike a movie, life isn't scripted -- meaning, the end of Yellow Brick Roads are often unclear. Students, you simply may not know what your destination is right now and that's ok. Moreover, your sense of what comprises "Emerald City" -- meaning what you imagine will give personal and professional fulfillment -- may and probably will change over time. Too often, we tell students that their goal is to discover themselves. But there is rarely a singular self within each of us. Plus, what we want at age 18 isn't what we necessarily want at age 28 or 48. That's because who we are at 18 isn't who we are at 28 or 48. As a recent article in the Wall Street Journal explained, Confucian philosophy encourages us to think of life not in terms of decisions, but as a series of ruptures that lead us from one thing to another. Confucius would say to our graduates today and their anxious parents: Live with a constant awareness of the ever-changing world and your ever-shifting self. Train your mind and heart to stay open and constantly take into account all the complex stuff that is you. In short, know that your Yellow Brick Road of tomorrow may lead in a different direction than where you start today. Still, we all know that the proverbial sayings are true, that whether your road is paved with yellow bricks or grey concrete, everyone's life path will encounter difficulty. When facing the inevitable hardships, it's worth remembering this bit of navigation advice: Always take the Yellow Brick High Road. What's does that mean? It means admitting mistakes, acknowledging shortcomings, apologizing when we hurt others, not taking short-cuts, and not gossiping. The high road is also a humble road. One in which we don't have to be right all the time. One where we're flexible and accommodating -- not just practically speaking, but in terms of our spirit and energy. There's no question that the high road is a harder road; but it's also the right road -- the one that when you look back, you'll be glad you took.